A brazen booze fiend has ransacked the Pakenham Upper Toomuc Cricket Club, just six weeks after the Yabbies were previously targeted and broken into. 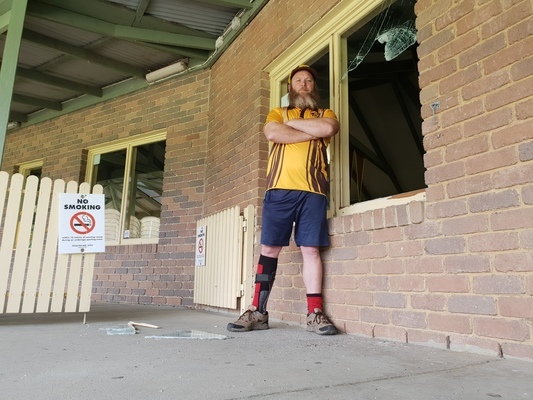 When club president Stuart Langley attended the Gembrook Road pavilion on Wednesday, he discovered a window had been smashed and a door kicked off its hinges. The thief fled with armfuls of Jack Daniels cans – eerily similar to October’s robbery – whereby cans of Captain Morgans were taken. But for the tightknit team, which has scarce resources, the vandalism comes as a cruel blow. “I’m just absolutely gutted and devastated,” he said. “It really takes it out of you when you come in and see this. Both incidents took place on public holidays, with the first preceding the AFL Grand Final and Tuesday’s break-in taking place on Melbourne Cup night. The club will now have to fork up cash for a CCTV system. “I’m going to have to board that window up and hope he doesn’t come back before the cameras go up,” Mr Langley added. The bizarre burglar left alcohol cans strewn across the club’s kitchen and did not take the Yabbies’ “fine jar” which was left inside the premises. Fortunately, no cash was left inside the pavilion till. Mr Langley was particularly disappointed with the lack of interest shown by Pakenham police after last month’s initial invasion. 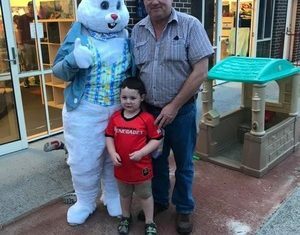 “We got no phone calls from Pakenham police, not one follow-up,” he said. He is now convinced the thief is targeting the club for booze. “We have to assume it’s the same guy, and this time he would have known there’s no cash here,” Mr Langley said. It came just days after the club held a fundraising weekend to raise money for cancer prevention.